This past weekend, I competed in the Clermont Draft Legal Challenge. This event has been going on for six years and I have competed in five (2013 off when I was pregnant). This event has several different races for the up and coming younger athletes with Junior and Under-25 development events. It’s great to see so many kids at the event and I see this as a true testimony to the growth in the sport. After a short ten minute drive, I arrived to Lake Louisa State Park for my pre-race warm-up. Surprisingly, the temperatures had dropped dramatically from a couple of days prior to the race. Race start was in the 50s, with a wind out of the Northeast. This made for a choppy, cool, wetsuit swim. The lake also had a bit of a current and this made for challenging swimming and sighting conditions. 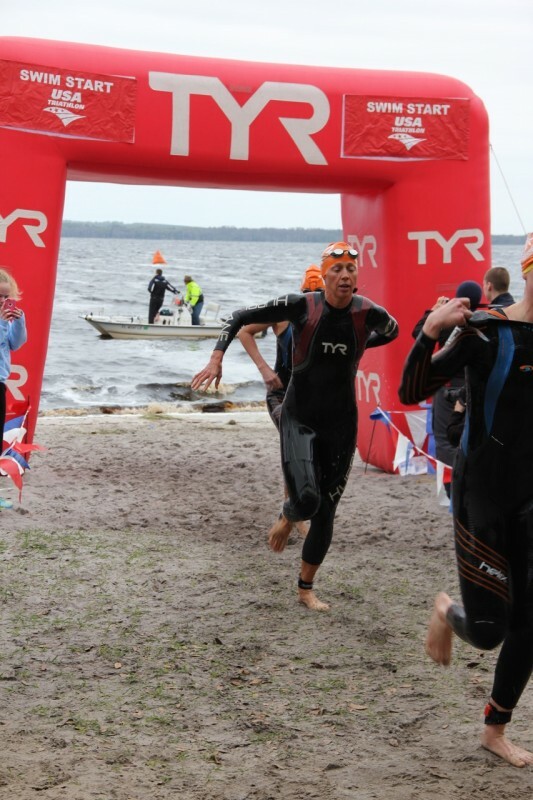 The run in and run out of the swim was much shorter than years past, due to a 15ft increase in lake depth. I hit the second turn buoy in second position and made the turn to head back to shore. I did not realize how strong the current was, and before I knew it, I was 25 meters off course. I had to redirect myself and ended up exiting in fifth position. I exited T1 in second position, stayed relaxed and controlled while putting on my bike shoes, and then hit the bike hard. 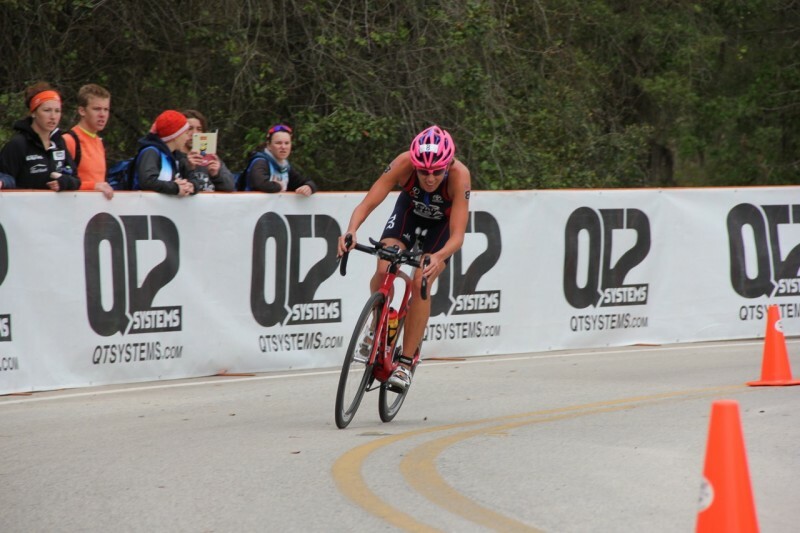 My goal for this race was to really push the bike as I wanted to test the legs and execute my strength. I attacked for one minute, noticed that I had a gap and then settled into 20k TT pace here is my Quarq Powerfile Presented by Training Peaks! . 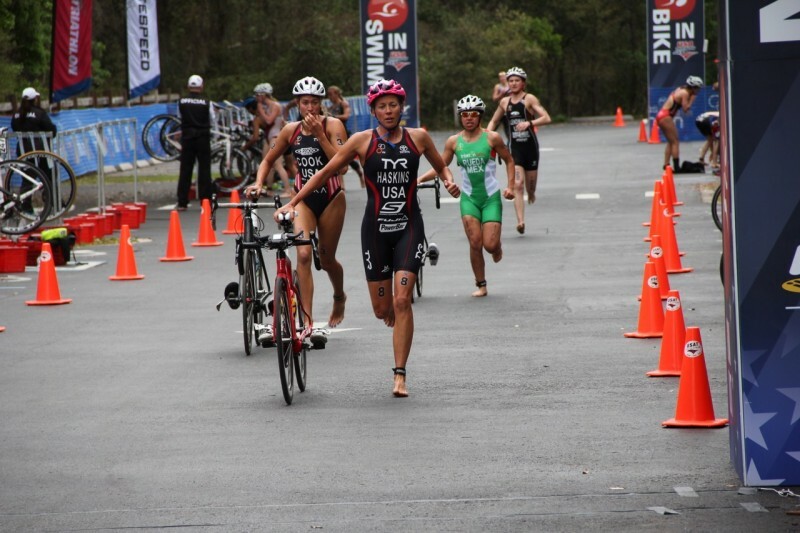 I gained about 15-20 seconds per lap and headed into transition with about a 1:20-1:30 lead over the pack. 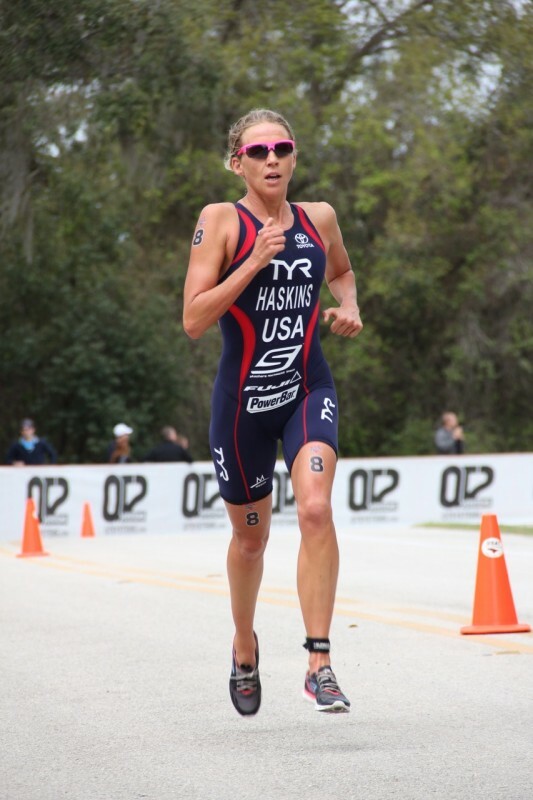 When I exited the bike into T2, my legs felt a bit heavy; however, I was not too surprised considering I pushed the bike hard. My arms were more noticeably more tired than my legs as they were in an awkward “road TT” position. I focused on keeping the form smooth and my arms relaxed. As the run went on, I began to feel better. Summer Cook was running very strong from the pack and I had to gauge how much she was catching me at each turnaround (it was a two loop run). 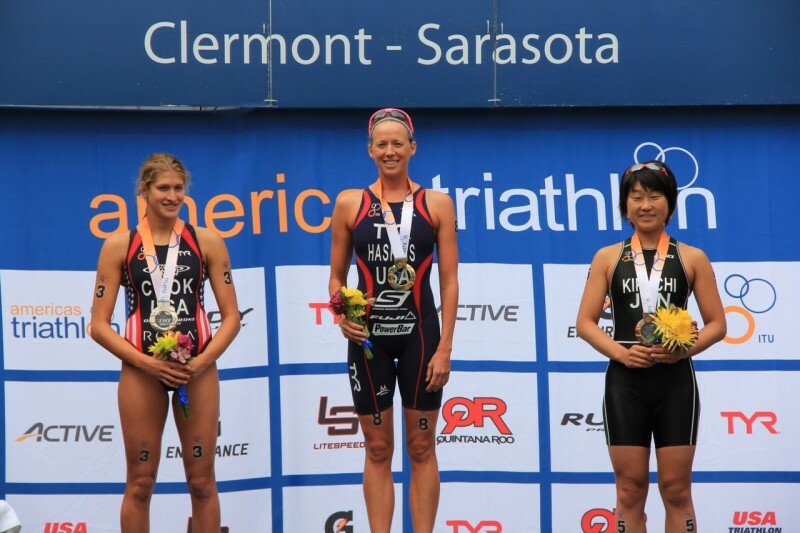 I was honored to stand on top of the podium, although I always get nervous when I see champagne. I am not too worried about the idea of getting drenched in champagne, but I always have trouble opening the bottle in a short amount of time. My wrist “strength” is weak. Nonetheless, this time around I failed to open the bottle! I was excited to defend my title from last year! It’s just the start to a long season, but I am happy with how things are clicking along thus far. Looking forward to starting my first 70.3 next Sunday. This style of racing will be completely different and I have a lot to learn entering the long distance racing. Thank you to all my sponsors, family and friends for the support. Tune in for another update next week! 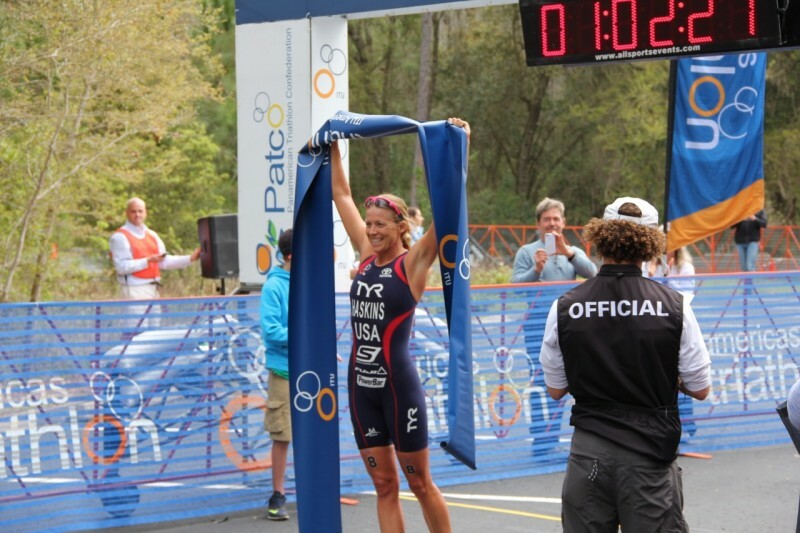 Here is my post race interview!